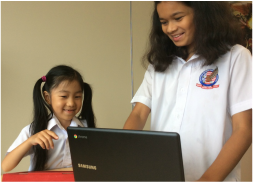 Grade 3 & 4 go 1:1 with Chromebooks, broadening opportunities for collaboration, communication, feedback and learning. 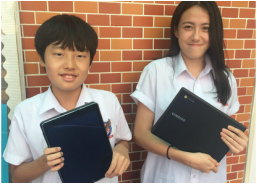 The Middle School's Bring Your Own Technology (BYOT) program focuses on developing independence and skills for successful 21st Century learning. 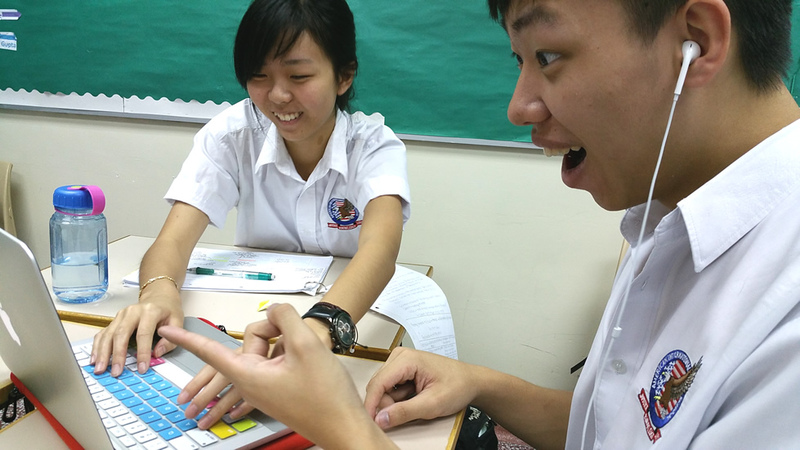 The High School BYOT initiative opens the door to the world of i-Learning. Technology is, of course, the most significant factor in educational change. Not only are the skills needed in the 21st century workplace very different, a deeper understanding of how students really learn has also challenged educators to look beyond age-old traditions and methods of teaching. Children today are born into a digital age where knowledge is instantly accessible and constantly changing. Scientific research confirms the way our children think and act is significantly different from any generation before. The net effect is technology has changed schooling. This means the effective use of technology in schools has become a major challenge for both students and teachers. With all of this in mind, I am writing to share with you some exciting news about important changes AIS is implementing for the new academic year, beginning August 2015. 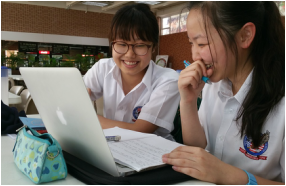 These changes are part of our ongoing push to ensure educational technology plays a central role in the teaching and learning at AIS. AIS runs a Bring Your Own Technology (BYOT) policy from Grade 5 through Grade 12. All students in Middle School and High School will be required to bring a digital device of their choice to school to enrich and support their learning. The recently upgraded WIFI infrastructure will enable better online access for all students and teachers in every classroom. Our WIFI and BYOT policy will support students and teachers to effectively use technology to improve learning. The development of our school’s digital learning environment is coordinated by the school’s Educational Technology Coordinator. Since 1986, the AIS community has worked hard to establish its reputation for delivering an educational experience that gives our students the essential skills, knowledge, and attitudes needed for life beyond our red brick walls. As a school we are proud of our students’ achievements over the years and grateful too, for the hard work, dedication and commitment of our faculty. Together we have established a strong reputation for providing a quality international education. Yet, times have changed, and the world of today is quite different from the world when AIS first started, and like all schools, AIS must continue to evolve. In 2014, AIS engaged SENCO-MassLink to install a CISCO-Meraki network system. This was done to provide extensive and reliable Internet connectivity across the school for our students and teachers to enable us to integrate more technology into our teaching and learning. This network is now in place. Every classroom across the school now has more effective access to this system. This enables students and teachers to better access the Internet and valuable online resources to support instruction and enhance learning. We recognize that each school division has its own particular needs and that the use of technology will vary accordingly. For this reason, this site has been developed and organised by division. I hope you find the information on this site useful in helping you understand and prepare for getting the most out of our digital learning environment at AIS. These are exciting times in education and we should look forward with great confidence knowing that AIS will continue to provide an educational experience of high quality and relevance to the students we serve.